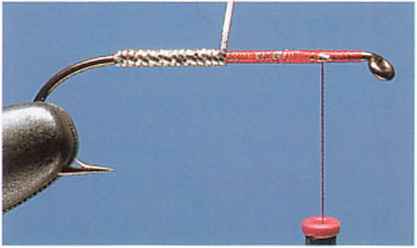 1 After fixing the hook in the vise, run on the tying thread at the eye and carry it down the shank to the bend. 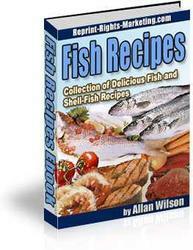 Catch in 6 inches (15cm) of embossed or medium-width, oval, silver tinsel. 2 Wind the thread on in close turns to lock the waste end of the tinsel along the shank. This provides an even base for the tinsel body. Wind the tinsel in touching turns toward the eye. 3 Secure the end of the tinsel close to the eye and remove the excess. 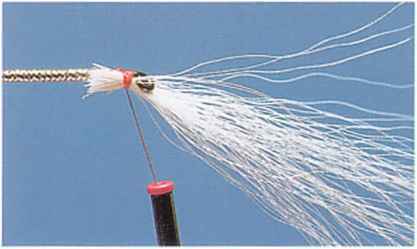 Take a bunch of white bucktail, approximately twice the length of the hook, and catch it in under the eye so the tips project past it. 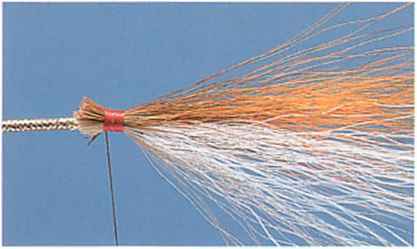 4 Take a bunch of brown bucktail the same length as the white. 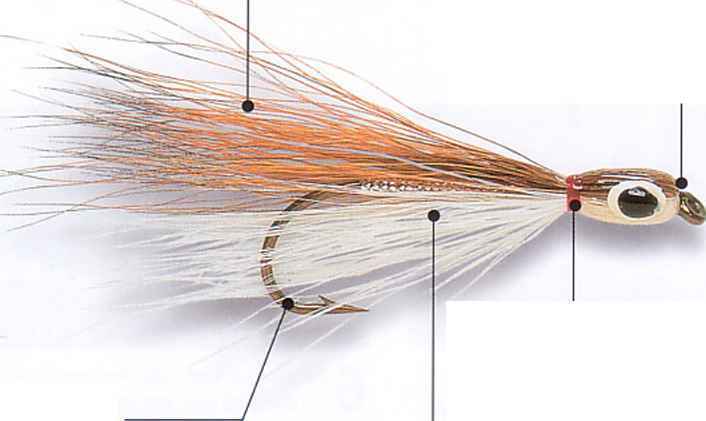 Catch it in on the upper side of the shank so the tips of both bunches are level. 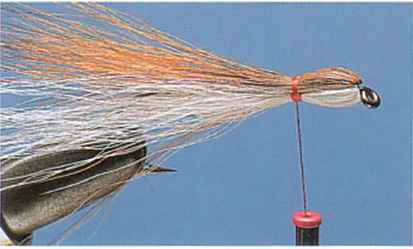 Secure the butts with tight, close turns of tying thread. 5 Carry the thread a quarter of the way back down the shank. Draw both bunches of hair back over the body, taking care not to mix the two colors too much. Secure them in place with thread wraps. 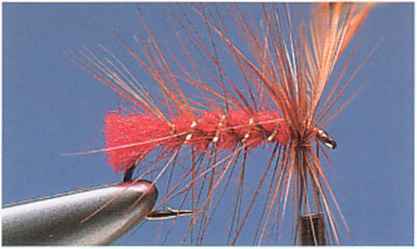 6 Cast off the tying thread with a whip finish to leave a conspicuous red collar. Apply two coats of clear lacquer to the head and. when dry, add painted eyes on each side. 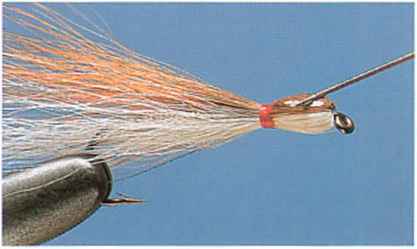 How to make a thunder creek minnow head?